Ford is all prepared to launch the updated version of its popular EcoSport compact SUV at the 2017 forthcoming Shanghai Motor Show. However, it is not the same model we have seen at the end of last year in Los Angeles. 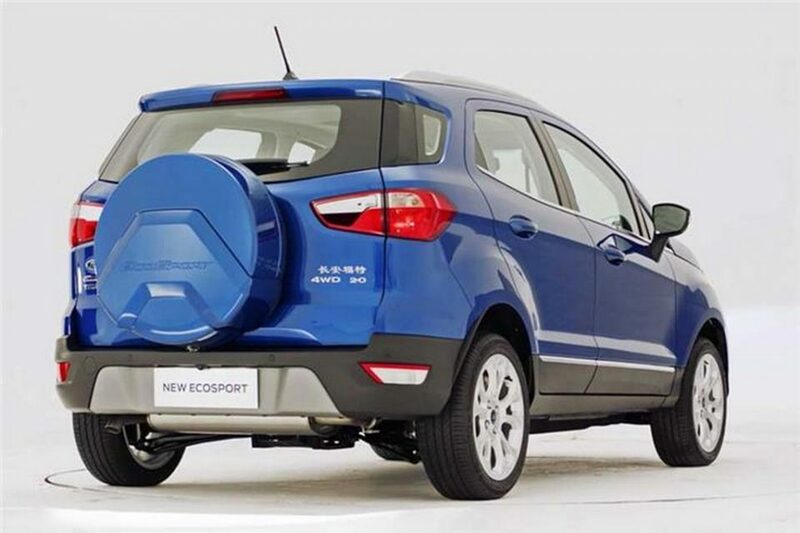 Just ahead of the Shanghai show, the EcoSport that is bound for Chinese market appears to have received only minor exterior tweaks as opposed to an evolutionary treatment. The main cosmetic change implemented is the newly designed set of alloy wheels while the tail-gate mounted spoiler is retained. 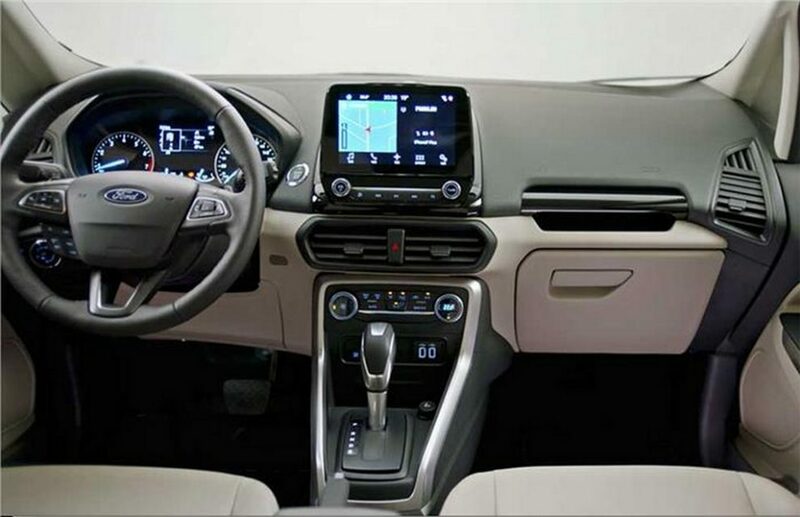 There are several tweaks to the inside that include larger Ford SYNC 3 touchscreen infotainment system, brand new dashboard and centre console to up the upmarket appeal of the facelifted EcoSport. As for the powertrain, the China-spec version comes with three engine choices: a 1.5-litre petrol engine , a 2.0-litre petrol and a 1.0-litre EcoBoost petrol. The larger petrol mill is coupled with an all-wheel drive system. 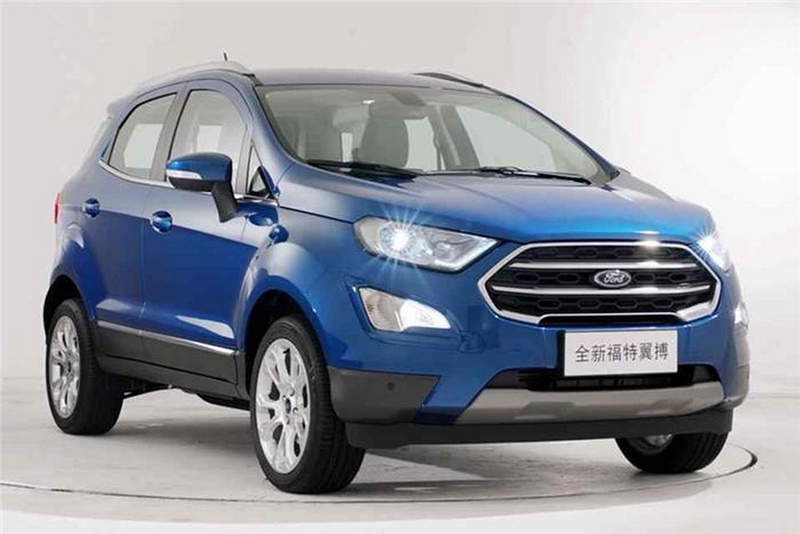 Ford does not offer a dual-clutch automatic transmission in China as the six-speed Select Shift gearbox is employed instead of a PowerShift DCT. The EcoSport is the brand’s best-selling model in the Indian market and thus we expect a launch to happen as soon as the final quarter of 2017 around Diwali or early next year. It will likely have a matured design language keeping the existing overall silhouette intact as the exterior will bear influences of the current generation Kuga and Edge. The compact package will be underlined by tweaks to headlamps with thinner LED Daytime Running Lights and projector lamps, bigger trapezoidal radiator grille with dual slats and black plastic mesh pattern, Edge-inspired fog lamps, reworked bumpers at front and rear and a new tail lamp cluster design mimicking the US-spec version. As it is manufactured in India and exported to US, the probabilities of a larger 2.0L engine equipped 4WD model cannot be ruled out for our market in the near future. No engine change is expect as the facelifted EcoSport will continue with the existing powertrains.